Converting a loft into an additional living space, home office or bedroom appears to be a simple matter: clean up the space, build partitions where needed, add some toilet facilities then paint the whole area. In reality, this is not so; you need to do some preliminary studies before you can transform your attic or loft into a livable space. These studies are simple, but nevertheless vital to the effort. First, determine whether the conversion is practicable. Some houses have low roofs that a person cannot stand up inside the loft, even in the highest part. Others may have weak floor joists which are actually ceiling joists for the lower rooms. The structural weakness may be due to the house’s age or intentional because the loft was never meant to be converted into living space. It might be necessary to check the local building codes if conversion is feasible as structural modifications may be needed. The location of the stairs, new windows and bathroom facilities are likewise important factors to consider. You would not want a dark loft, with the bathroom in the house’s front part nor the staircase in an inappropriate place in the lower floor. Next, consider your readily available budget. House construction is notorious for always going over the estimates, so it is wise to have backup finances. You might try requesting rule-of-thumb quotes from the professionals to estimate how much money you’ll need for the renovation then add about 20% or more to the estimates. The renovation professionals would also suggest modifications to your basic plans to reduce costs or improve the concept. After you have your estimates and most probably a rudimentary plan about how the renovation would go, you must again consult with the local building authorities to preclude any violation of the construction/renovation codes. This should be a breeze because professional builders you asked quotes from would know what you can do and what you cannot. If they suggested something that violates the code, they are not professional and never consult them again. Finally, draft a detailed plan of how the loft should look after renovation, specifying the measurements and materials. Make sketches and actually measure the spaces and distances so you can be as accurate as possible. This will greatly help the builder to make the right estimates for his final quotation. Do not forget the placement of windows —adding more if necessary—and the bathroom facilities. If a bathroom is not practical, at least a commode and washbasin should be included in the plans. 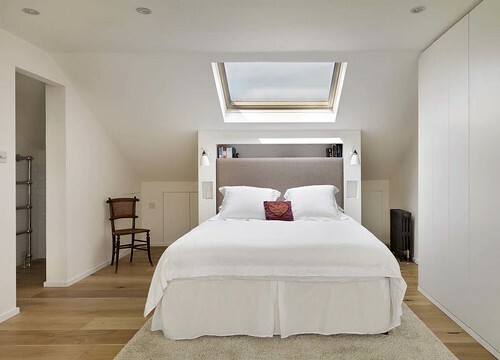 Converting the loft into a livable space, whether as a bedroom, office, studio or just a place to be free from the hurly-burly of the house downstairs, can add to the size of the house without very expensive home expansion. It can add value to the house if you would wish to sell it later, the added value is usually higher than the actual cost of renovation. So if you want to convert your loft, go ahead and do it, but be sure to do it right the first time. Otherwise, it would be counterproductive for you. This was an article by Michael from Easy Plan in Warwickshire. When not working Michael likes to spend his time reading, blogging, and going to the park with his 2 children. Is your loft properly insulated?